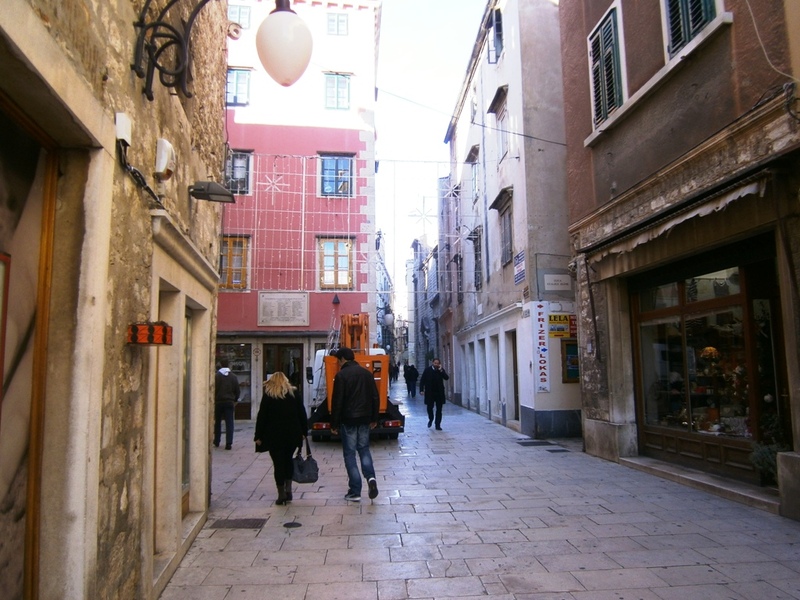 Holiday Shopping in Croatia – What’s The Hurry? There is always a nearby coffee bar. Radoslav chats with a friend where we had coffee together. Each week Florence and I stroll to the local market to stock up on fresh fruits and vegetables. 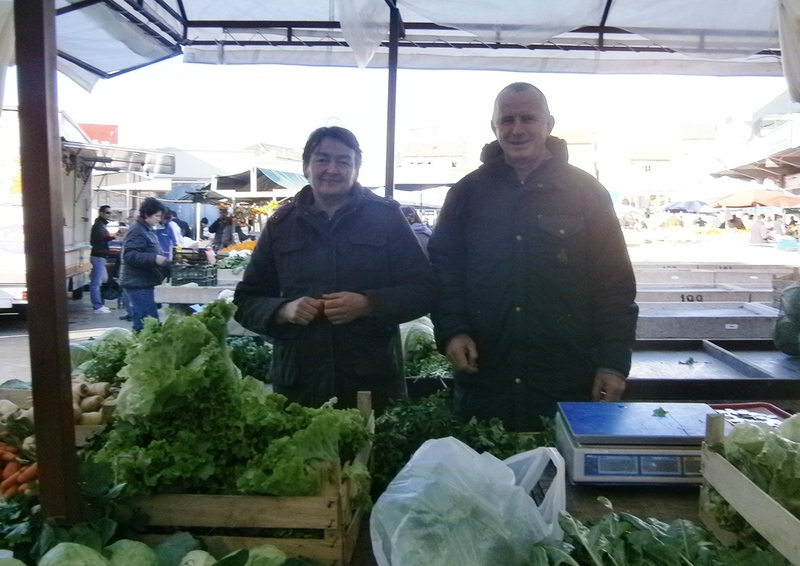 A vendor named Radoslav has noticed us shopping every week, so one day he asks us, “Do you live here?” We tell him, “Yes, we live here in Šibenik.” Florence gives him our business card with our photos and the caption, The 6 Monthers, which we explain means we move to a different country every six months. That wins us a big smile. However, he is curious. He seems surprised like so many people when we tell them Šibenik is currently our home. Šibenik is not as well known as Split and Dubrovnik, the big cities on the Dalmatian Coast, and people are always curious why we chose to live here. The people are so proud of their city that it warms their hearts to learn someone from the United States would choose Šibenik in which to live. Last week, Rado as we call him, invited us to join him for coffee so we could sit and visit the next time we come to the market. His wife tended to their vegetable booth while Florence and I accompanied Rado to a nearby coffee bar. There is always a nearby coffee bar. Rado had not practiced his English for a long time. Because his English is so much better than my Croatian, we managed to understand one another. The variety is amazing at the open market. He told us about his family farm 10 miles up the coast. He told us he gets up every morning except Sundays at 4:00 a.m. to drive his farm fresh vegetables to our market. He beams with pride when he tells us he has two sons and five grandchildren. We learned his farm has 1,200 vines for growing grapes and enough olive trees to produce about 70 liters of olive oil for his family and the families of his four siblings. His grapes are for selling at the market except for enough to make a personal store of white wine to serve with dinner. 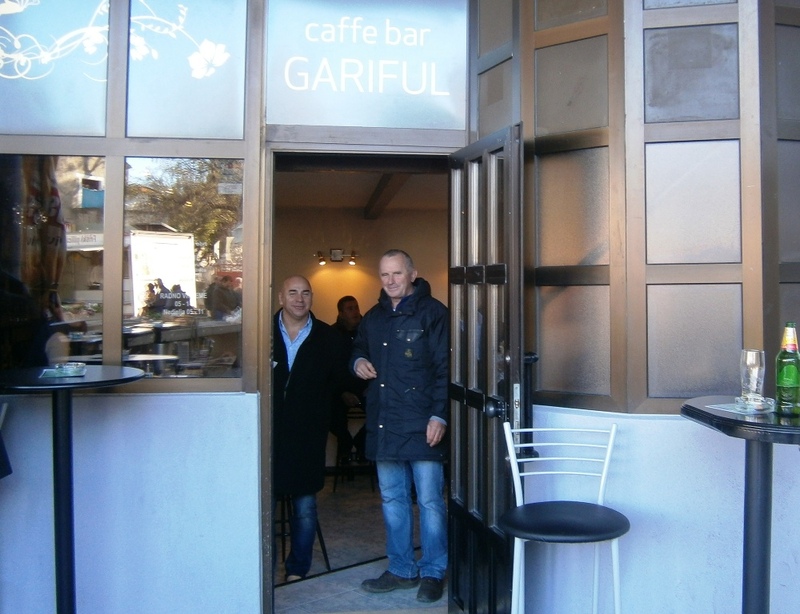 When I asked if he also made rakija (ROCK ee ya), the popular Croatian brandy he said, “Of course! 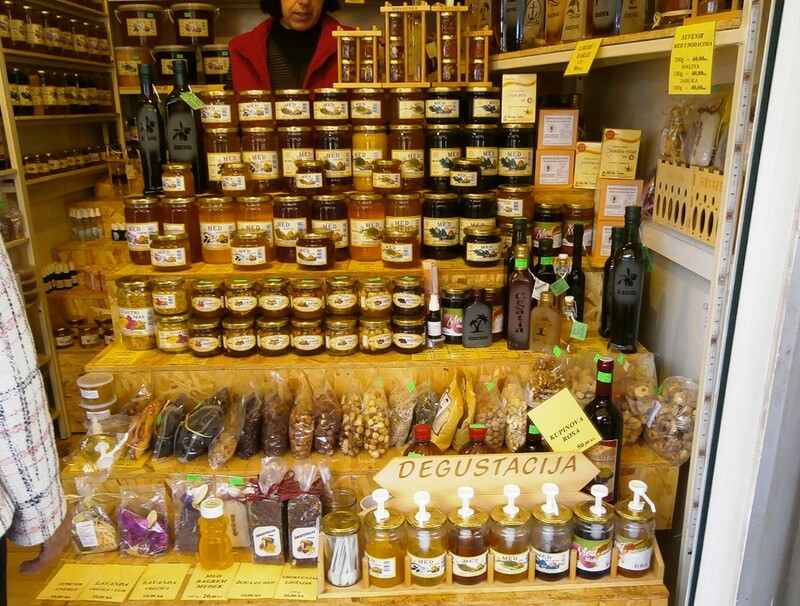 You come back tomorrow and I will give you some.” These Croatians – they are always so generous! Christmas decorations going up around the town will be lit up ten days before Christmas. 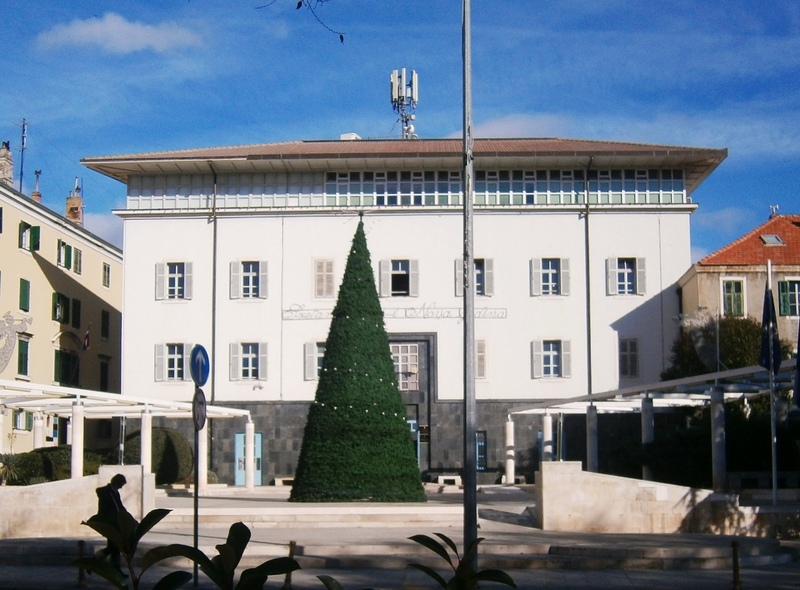 Decorations are up at Šibenik City Hall. That tells us something about Croatia. There is not enough work for the young people. About 4.5 million citizens remain in Croatia while over a million have left their country to find work in Western Europe, particularly in Germany, and another million Croatians have moved wherever there are jobs like Canada, United States, Chile, New Zealand and Australia. Having found better lives elsewhere, these Croatians are not coming back. That is Croatia’s loss and the other countries’ gain because Croatians are not only wonderful people, but also hardworking. One thing I have learned from our time in Croatia is how to enjoy living at a comfortable pace. We made time to enjoy coffee with a friend. We sipped instead of gulped. We relaxed without looking at the clock. We made a memory out of a routine shopping trip, a timely reminder this holiday season that the little things are often the greatest gifts. The town square is festively decorated for Christmas. Amid the cheerful holiday trappings of Christmas are the aromas wafting from our kitchen as Florence bakes traditional holiday breads as gifts for our wonderful friends – cranberry orange bread, carrot bread, zucchini bread, pumpkin bread, and her classic banana bread with chocolate chips. I have performed my solemnly sworn duty of quality control, making sure each variety of sweet bread is good enough to share with others. I am pleased to report that all varieties passed with flying colors again this season. Decorations adorn most shops and businesses. Holiday breads are sold by street vendors. The town square in Boquete has a two-story tall Christmas tree with lights and stars and bright red ribbons adorning it. A Christmas party was held for the local children last weekend, and I saw smiling faces as bright colored balloons and toys were handed out by generously supportive organizations. Miniature ponies were saddled to provide horseback rides for the youngest children. As you would expect in a country that is 90 percent Catholic, the Christmas season is especially meaningful in Panama. Attending midnight mass is common, and gifts are exchanged on Christmas Day. It is a family time, and relatives come from all around in order to spend time together. There is a local custom I learned about related to Christmas. If you have a friend or family member who does not own their own home, you give them a gift of a manger which includes the Nativity scene of Mary, Joseph, and the baby Jesus. However, the manger is not complete. Once that person moves into his or her own house, custom dictates they obtain additional figurines or toy animals that help complete the manger scene. A model nativity scene is given in hopes the recipients will find a home of their own. If the manger gift recipient knows someone else who needs a house of their own, then prior to the next Christmas they pass the gift forward to the new recipient after removing all but the human figures. These gifts are passed on and on among family and friends in the form of a Christmas wish for the recipient to find a home of their own. Each time this nativity gift is given, the giver replaces it with one to keep for the holidays. In a country where gifts are not elaborate, these nativity scenes are given to spread the joy and cheer that comes from deep religious conviction and Christian love. However you choose to celebrate Christmas, may the gifts you give and receive bring joy to you and those you love.